A productive healthcare practice is one of the main goals of most healthcare practices. 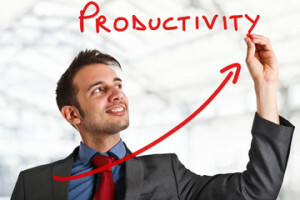 No matter your specialty, productivity means money gained and money spent. Every practice is looking for operational improvements that make a difference to their bottom line. And if you are not, you are losing opportunities every day. How well your practice manages these operational issues determines the profitability of your practice. Of course, efficient and productive AR (accounts receivable) plays a large role in that as well. Cutting costs is more than just changing vendors and must also include improvements, otherwise cost cutting becomes cutting customer service as well. A productive healthcare practice must look at all aspects and improve in all so as to not let one aspect fall while others fail. Every part is important. A long range strategy to develop operational improvements that bring a real difference to patients and the bottom line do not come without research and thought. Understanding the multiple steps needed to improve both patient satisfaction and bring revenue to the bottom line may seem like impossible tasks; but are achievable when the right strategy is mixed with the right staff and the right leadership. Developing strategy requires a practice to know the current healthcare environment and what are the likely changes to take place in the next several months/years. Of course no one has a crystal ball, but what we do know is that value over volume will be the watch word for the near future. How to continue to deliver value and improved patient outcomes must be a part of any overall improvement strategy. Knowledge of IT and interoperability of products must also be a part of strategy and can be quite costly. How a practice successfully integrates in the new IT world and how practice relationships play a role in that are important considerations. This is how you become a productive healthcare practice in today’s healthcare climate. For many, it is impossible or very costly to go at this alone. Developing a strategy for operational improvements will take time and a partnership. Need some help or guidance with these complex issues? Give us a call. We will work with you to build a strategy that sets you up for success and productivity for years to come. You know your practice and we know how to balance the changes in healthcare. Call us today for a FREE evaluation of your practice and see if our expertise can be useful and productive to your healthcare practice.